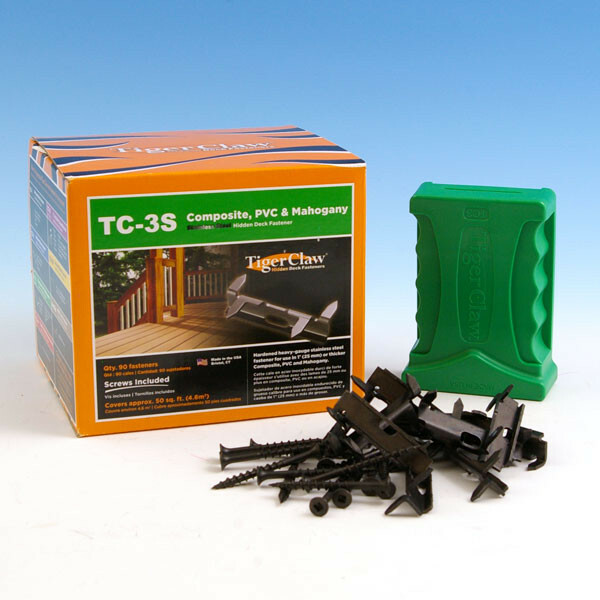 Designed for creating a nail-free deck surface with composite or synthetic decking materials and medium-density mahogany, TC3 fasteners are heavy gauge stainless steel with black oxide coating that better hides the fasteners between the boards. 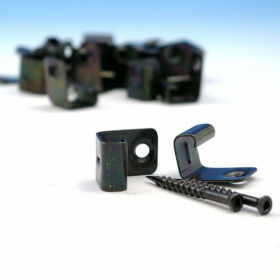 These Tiger Claw Hidden Fasteners provide an automatic 3/16 in spacing but can accommodate up to 5/16 in. Spacing should be done according to decking manufacturer specifications, and if the decking is less than 15/16 in thick, pre-drilling may be required. 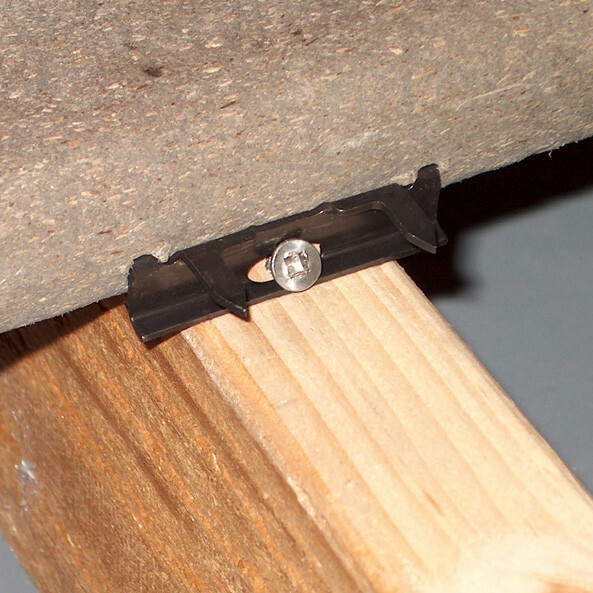 Gapping TC-3S will automatically create a gap between each decking board slightly greater than 3/16 in. With the use of spacers or shims, TC-3S can support gapping up to 5/16 in. 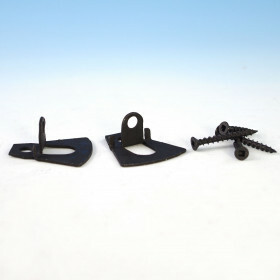 Tiger Claw Hidden Fasteners were developed by a professional builder looking for a better alternative to the hidden fastening systems available. 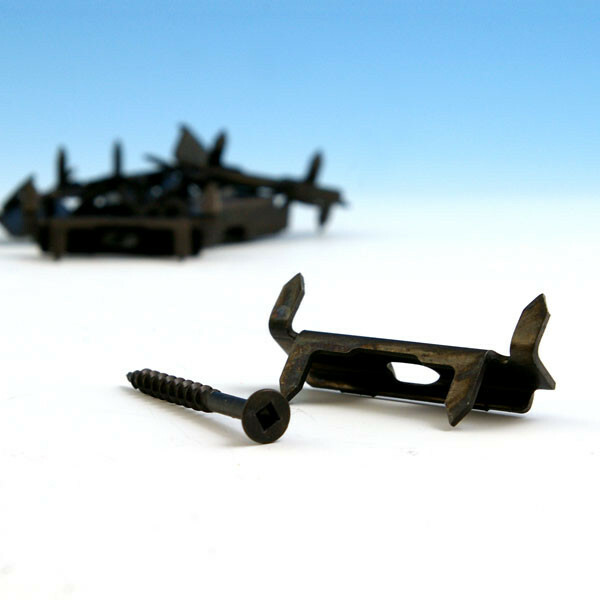 Tiger Claw fasteners are easy-to-install and drastically decrease labor time. 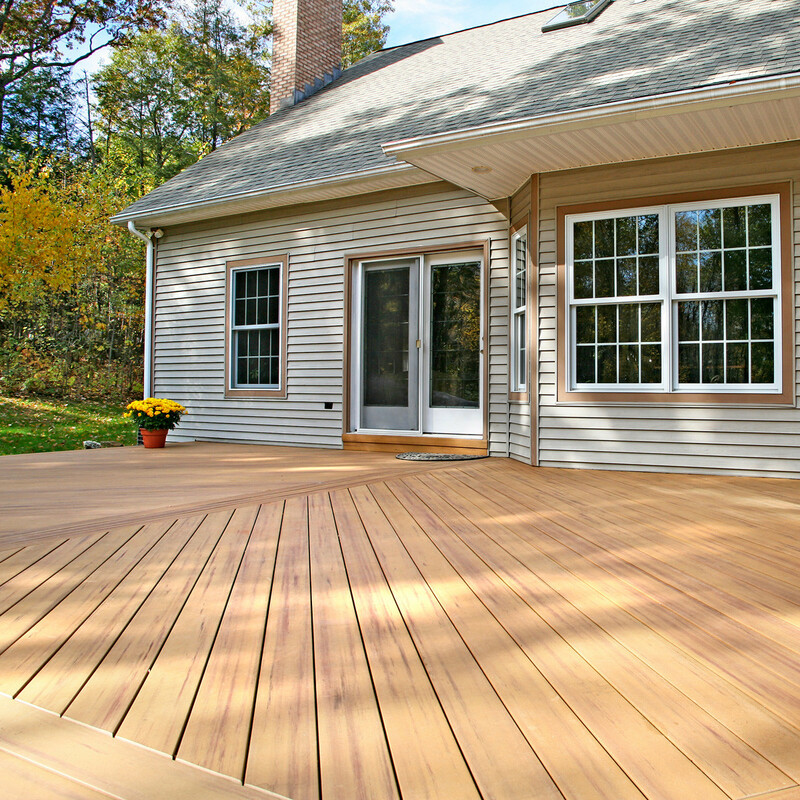 The company is dedicated to helping you create a better looking, longer lasting, and safer deck at an affordable price. 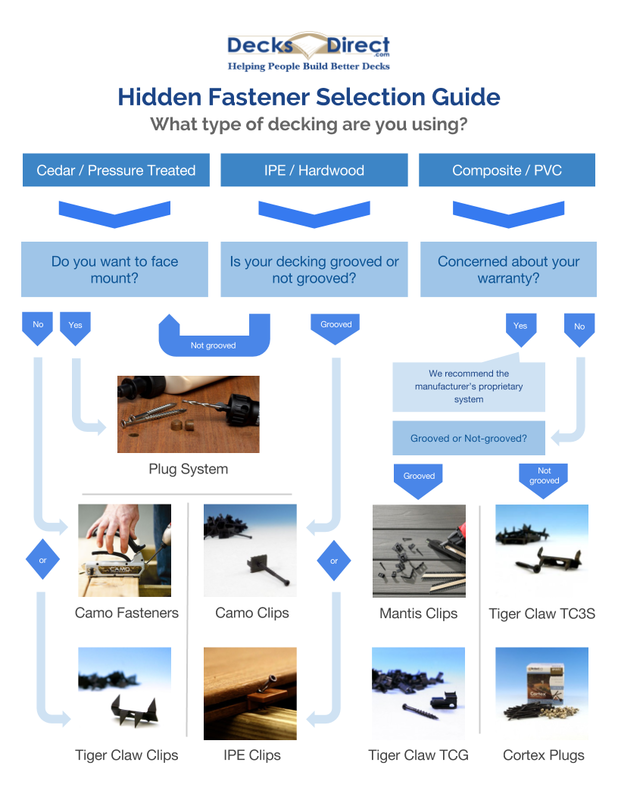 Tiger Claw Hidden Fasteners are available in a variety of styles in order to meet the needs of every deck. Fasteners for grooved boards, softwoods, hardwood, composite, and PVC are all available. 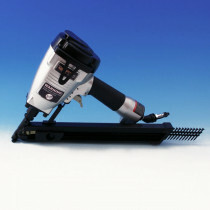 The company also offers several proprietary tools in order to help customers get the job done quickly and efficiently. 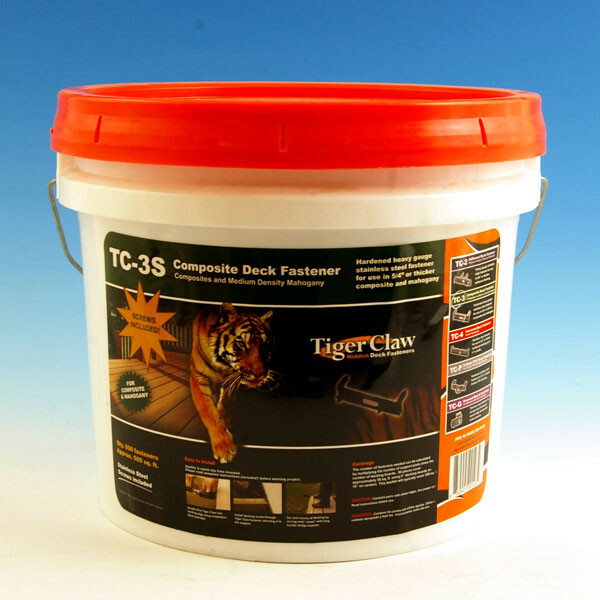 Tiger Claw’s patented deck fasteners give your deck a smooth, nail-free surface that remains safe and secure, available here at DecksDirect.